As the FIM Supersport 300 World Championship heads into its second season, the riders are ensuring they are at their optimal fitness to compete in one of the fastest growing series in the world. With the help of Unoporciento Motorsport Riders Academy this became a reality after their collaboration with Dorna WSBK Organization. Each WorldSSP300 race winner of 2017 was invited to the Spanish training camp, which includes training of all the major areas: physical, technical, tactical, mental, nutritional as well as support from the center coaches. With over 10 years of experience, the team behind Unoporciento have trained more than 100 riders in different series and categories, and provided the best possible academic and sports training to WorldSBK’s rising starts. Unoporciento’s goals are simple and was created in the symbol of endeavor, work and improvement. 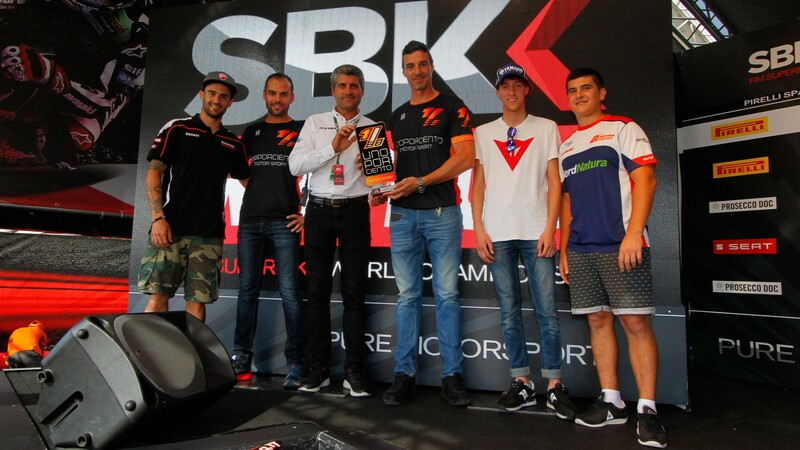 Based at the Circuito Ricardo Tormo, 2017’s six race winners of Scott Deroue, Marc Garcia, Mika Perez, Ana Carrasco, Alfonso Coppola and Galang Hendra were focusing on maximizing their performance, gaining academic training needed in the world of motorsport and were educated in values, habits and attitudes. Offering the full package to the up and coming stars of tomorrow, the training camp shows the long term investment in the sensational WorldSSP300 series, as well as the riders themselves. In the modern era of racing, covering all elements are vital in succeeding in the world championship, meaning Unoporciento’s training from the body, to nutrition, to the mind prepares them fully for a season of racing in WorldSSP300 and beyond.